Cerebral metastases from choriocarcinoma are a poor prognostic indicator of outcome in both the World Health Organization and FIGO classification systems. 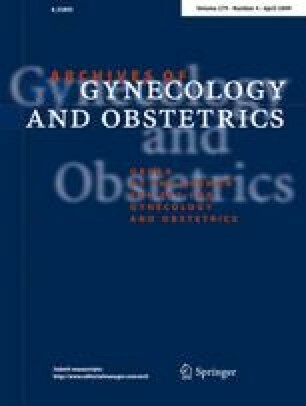 Although gestational trophoblastic neoplasia has become the most curable of gynecological malignancies, failure rate among “high-risk” patients is still high despite of the use of aggressive multidrug regimens. A 27-year-old woman (G4P2Ab1) presented with hemiplegia due to brain metastases of choriocarcinoma 1 year after spontaneous abortion. She underwent craniotomy and was treated with nine courses of multiple agent etoposide, methotrexate, actinomycin- etoposide, and cisplatinum (EMA-EP) regimen combined with whole brain irradiation. She delivered a term healthy child 2 years after termination of treatment. Multiagent EMA-EP chemotherapy and whole brain irradiation with craniotomy in selected patients preserves fertility and may improve a patient overall prognosis.